The pioneering Drumsound & Bassline Smith have been part of the top echelon of drum 'n' bass producers for as long as they've been a going concern. No wonder, really, when you consider that their roots stretch back into the very earliest days of jungle. The consolidation into the chart-busting, Technique-bossing, anthem-creating team they are today was simply a natural consequence of the trajectory they were on all along. Given that pedigree, the title, Jungle All the Way comes loaded with resonance. And from the very first inflammatory bass drone and militant kick, Drumsound & Bassline Smith lay out a powerful statement of intent. You see, this is no purist old skool throwback. There are touches of neuro in the matching of the sinister pad with that bass. The sparse, rhythmically insistent beat might even suggest dark tech-edged jump-up. As the eponymous vocal sample signals the drop, we're presented with the full picture. This is the panorama of contemporary drum 'n' bass seen through a junglist lens. Those breaks, the classic booming bass switches, all delivered with the super-slick production for which Drumsound & Bassline Smith are envied. This is one for the heads, as they say, but it's going to hit hard in any party for any crowd. 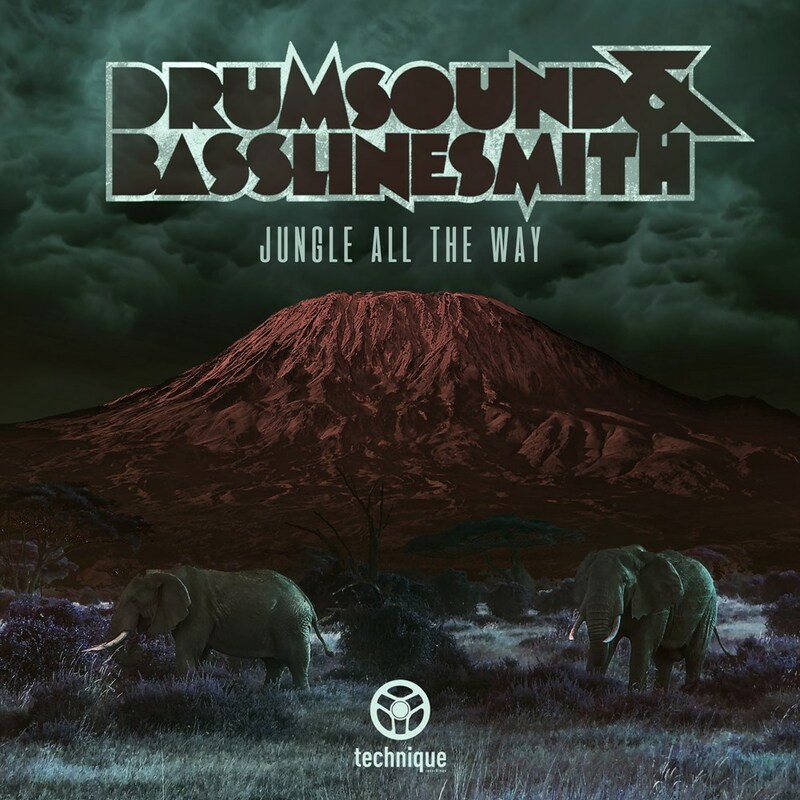 This is, plain and simple, another banger from Drumsound & Bassline Smith that you need in your life.